What are the best places to retire for British expats? Retirement is a period in our lives where many of us want to capitalise on all that time and effort we’ve spent working and raising families. It’s our time. It used to be the case that hard-earned savings would be sufficient to settle for a life in the UK and we would be happy to do stay here in old age. However, more and more of us are choosing to retire overseas for a variety of reasons. With that in mind, it’s natural to ask: what are the best countries to retire in? Whether you are looking to make the most of your golden years in the sun, escape to more adventurous climes or just looking to get the most for your money (and pension), the following countries are great options for retiring Brits. The Philippines has long had a global reputation for the warmth of its welcome and that doesn’t stop in the hospitality sector. The nation’s peoples are characterised by their generosity and open nature. The islands themselves are a picture-perfect paradise and it is little wonder that the country is so popular with immigrants young and old. Special Residents Retiree’s Visa (SRRV): The Government of The Philippines has recognised its country is a popular retirement destination and, in order to make this process easier, has introduced a specialist visa. Qualifying for the SRRV is straightforward as long as you have a valid passport, pass medical and police background and can pay a deposit of $10,000 plus have a monthly pension income of $800+ ($1000 for couples). If you don’t have an income from a pension, $20,000 (aged 50+) or $50,000 (aged 35-49) will need to be paid on deposit. The benefits are excellent and include a tax-free income from your pension, non-immigrant status, exemption from customs duties and taxes and no exit and re-entry clearance. There is a fee of approximately $425 to pay for the SRRV but, if you are planning on staying in the Philippines for several years in retirement it is worth the extra cost. Weather: With year round average temperatures of 26-32oC, the climate is tropical with a high humidity. Cost of living: The Philippines has a very low cost of living index and accommodation, transportation and leisure are all very affordable for people living on a pension. Medical facilities are also low cost. Excellent elderly care facilities: For a monthly cost equivalent to $800, there are some wonderful retirement homes available. The care is exceptional due to the inherent culture of being respectful of the elderly and with medical care, physical therapy and food included the rates are very good. Weather: Along with the pleasant temperatures comes some regular extremes of weather; the rainy wet monsoon season which can culminate in flooding and disruption. Starting in June and lasting until October the wet season can also bring typhoons. Development status: The Philippines is very much a developing country and, as such, the infrastructure is very poor by comparison to Western standards. Telecommunications are patchy, public spending on roads, environmental waste and general cleanliness are all an issue. All in all it can be a shock to the system coming from the luxuries we take for granted here in the UK. Property ownership: Unfortunately, you are unable to purchase a property in the Philippines however you can invest in real estate, purchase long leases or buy shares in accommodation facilities. Spain is a diverse country offering large cosmopolitan cities to traditional rural villages and coastal communities. In the latter you can find a peaceful way of life whilst never being far from the urban hub of city life. An historic nation with an exuberant culture and colourful people, Spain is a popular choice for Brits retiring abroad. Quality of life: The laidback culture of Spain is an ideal way to spend retirement as long as you don’t plan to live in the heart of a global city like Barcelona. Many of the towns, villages and harbour communities offer a relaxed pace without feeling isolated. Spain is safer, has a lower cost of living and a better climate than the UK. Familiarity: For many of us, Spain will have a familiarity about it from having travelled on holiday. However, the resorts are very different from typical culture so choosing your location is important. Established expat communities: Us Brits have been retiring to Spain for decades and, as such, there are plenty of us already settled there. The benefits of this are obvious but do come with a warning; become too ensconced in expat community and miss out on the opportunity to experience living like a local. Proximity to home: Whilst retiring abroad is great for you, it may mean leaving loved ones like children and grandchildren behind. Spain is only a couple of hours’ flight from the UK so the proximity makes it ideal for frequent visits from family and friends. Lack of retirement homes: The Spanish have always looked after their own elderly and the concept of care-homes is pretty new. There are lots of new homes being set-up or having been recently established but they are not the norm so it is important to do your research well if you need to use one. Post-Brexit complications: At present, there is pretty much free passage to live in Spain for Brits and owning a property is straightforward; however, the implications of the ‘Leave’ vote in June 2016 are still to be unravelled. The situation seems to change weekly and some people may prefer to wait until the dust has settled on Article 50. With its mild winters, glorious summers, stunning coastlines and vibrant people, Portugal is another popular European destination for retirement. There are plenty of places to choose whether you are looking for sea views around the Azores or the Algarve, the rugged parks and mountains of Central Portugal or near to a busy city like Porto or Lisbon. The quality of life is one of the best in Europe, ranking above the United Kingdom. Culture and People: The Portuguese are incredibly hospitable and friendly. They entertain a relaxed way of life and enjoy the company of strangers. Though there are good expat networks in the country you will quickly find that you can build a community of trusted locals quite quickly if you are prepared to socialise. Good healthcare: The Portuguese have a state health care system which is very good but, like the NHS, overstretched at times and in particular areas. Private medical insurance is recommended but you can be safe in the knowledge that for accidents and emergencies the public system is excellent. Food & Wine: Portuguese food and wine is excellent and very low cost by comparison to other European countries. Groceries are around 40% cheaper in Portugal than the UK (city prices) and can be as much as half the price on average. On the negative side, consumer goods can be a bit pricier. Bureaucracy: Living in the UK, you think you’d get used to the red tape put in place by the powers that be but in Portugal it’s far more extreme, particularly for expats. Roads: Driving can be a bit more fast and furious than in the UK. Contrary to their laid-back natures, on the road, the Portuguese can be impatient and are prone to dangerous and erratic manoeuvres. In addition, the major roads have tolls so getting around can get pricey. However, there is a lot less traffic about and the networks are very good. Not only does the proximity of France make it a very popular place for Brits to retire but it offers such a diverse range of alternative lifestyles to the UK. With the South of France benefitting from much milder winters, the elegant cities of Paris, St. Tropez and Lyon offering urban chic and the rural idylls of Provence, Aquitaine and Limousin, France is rightly on the list of top ten places to retire. Language and culture: The main benefit for a lot of people is the familiarity of the French culture and language. Many of us know enough to get by and, if we don’t, learning is easy. The French may have a reputation for not being willing to speak English but this is far from the truth and you will find many hospitable and patient people. Just remember, with learning a new language, a little goes a long way. Diversity in options: Whether you are looking for a modern city flat overlooking a river, rural farmhouse or rustic town terrace, there is plenty of property for sale or rent across France. Be aware though that there are taxes to pay which vary by area; look up ‘taxe d’habitation’ for more information. Relaxed lifestyle: The French are known for their two-hour lunch breaks and laissez faire attitudes. It can take some getting used to, particularly if you want (or need) things doing in a hurry; however, the pace can be very comforting when you get used to it. Especially in retirement! Cost of living: The essentials in France aren’t cheap nor is rent, taxes and transportation costs. It’s comparable to the UK but, if you take out rent then you will find that the basics such as groceries, utilities and fuel are more expensive. Red tape: In the same way that Portugal has a high level of bureaucracy, the French have made it an art form. 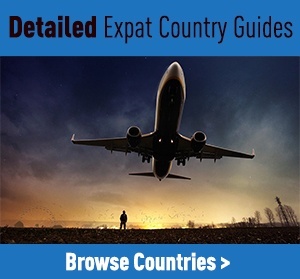 As an expat, the already ludicrously high amount of form filling grows even worse but there is nothing you can do about it…apart from change your own expectations, attitude and patience. Relax, be patient and know that things will get done…eventually. Part of the British Empire for over a hundred years, Malta still has an English feel about it. It makes the country attractive to British tourists who are Malta’s main national visitor and also the largest expat community on the island. Home to over 6,000 Brits, Malta is small but densely populated and offers an alternative to Mediterranean retirement. Safety: Malta has one of the lowest crime rates in the world. On the Crime Index measured across 118 major countries, Malta ranks 103rd (the UK is 65th). The murder rate is 1.6 per 100,000 citizens and general crime such as robbery, drugs and vandalism is all very low. The worst aspect of the crime statistics for this micro nation is with reports of corruption and bribery. The Malta Retirement Programme: At present (though Brexit may change this), permanent residents of Malta can benefit from tax free pensions at their source country and pay only 15% tax to the Maltese government. The implications of the ‘Leave’ vote has yet to be determined for British expats. High standard but low cost living: The cost of living is lower than the UK and on a par with Spain with the quality of living being of a high standard. The climate: Malta has dry and hot summers with short and reasonably mild winters. Don’t be mistaken though, the few days that the fingers of winter touch the island can be very cold indeed, particularly by comparison. Cost of luxury imported goods: Being an island nation many consumer goods are imported and you can expect to pay a huge premium. A pair of shoes will cost you around 30% more than in London and cars also attract a 20-30% price increase. Quality of work: The Maltese have a very laidback approach to most things; however, this ‘mañana’ attitude can result in shoddy workmanship, poor timekeeping and a general unprofessional service. It can get frustrating but unfortunately is pretty much par for the course on the island. Cleanliness: The peoples are, by and large, very house-proud and take good care of their homes; however, the streets and communal areas in the cities and towns aren’t quite as well kept. It’s partly an attitude of ‘it’s not my job’ as well as a lack of local government investment in such services. ‘Land of Smiles, the kingdom of Thailand is becoming an increasingly more popular place for British retirees to settle. From the rise in popularity of the country during the 1990’s as a holiday destination more and more people are returning to see out their retirement. The nation is friendly, fun-loving and offers an exciting peaceful tropical country to enjoy. Affordable healthcare: Though hospitals are not widespread in the country, the healthcare offered in the cities is exceptionally good and extremely good value. There is no national health service but private treatment is affordable. The weather: Though it’s not all sunshine, the climate in Thailand is a stark improvement on the gloominess back home. The culture and people: Thai people are amongst the friendliest you are likely to meet. Most are genuine, warm and caring and you will find it easy to make friends if you socialise locally. There are many expat groups around Phuket and Bangkok but resist the temptation to restrict yourself. Outside of these communities the local culture is irresistibly colourful. Do make the most of the opportunities to experience the real Thailand. The food: Full of flavour, spice and colour, Thai food is appreciated all over the world and you can’t get more authentic than real Thai street food. Small stands, shops and stalls can be found in any market and are incredibly good value as well as being extremely tasty. Cost of living: Retirees will find that their pensions can go a lot further in Thailand than in the UK and across Europe or the West. A reasonable standard of life can be achieved for a fraction of the cost in Britain. Language: Depending on whereabouts in Thailand you are looking to settle, the language can be a barrier. English is widely spoken in the tourist resorts and cities but don’t expect too much if you travel more rurally. The language is difficult to learn so you should choose your location carefully. If you don’t speak the language then you will find it more difficult to get by and to get things done. The monsoon: So, it’s a positive thing and a negative thing. The wet season in Thailand varies depending on where you are but usually starts around June and lasts until October. The rainfall during this time can be quite significant and most days are pretty cloudy. Culture: Again, the culture can be a big shock to some people and accessing Western food, essentials and way of life outside of the larger expat communities can be nigh on impossible. If you are someone who likes to experience new cultures, foods and experiences then you will definitely find this if you are prepared to live outside of the narrow focus of expat groups around Bangkok. Each Caribbean island has a character of their own and Barbados has always had the reputation for being a home away from home for the Brits. Yes, the island is still part of the British Commonwealth, they drive on the left and speak English. ‘Little Britain’, as Barbados is often called, has a very low crime rate, excellent healthcare and a great standard of living. Reliable weather: The temperature in Barbados is always an average high of 30oC and benefits from NE trade winds to keep the sun from getting oppressive. There are 3000 hours of sunshine to enjoy every year and, by and large, the island usually escapes the hurricane season due to its isolated easterly position in the Atlantic. Great healthcare: The Queen Elizabeth Hospital is an excellent facility which also provides top quality geriatric care. They also provide treatment for minor injuries and ailments at no charge. Diversity: As a small island predominantly catering for tourists there is year-round entertainment to be had on the resorts, golf course, bars and restaurants. Not only can retirees benefit from the activities on offer but also meet new people all the time. There is a constant turnover of tourists and people who have made the island a second-home. UK Pension: You can continue to claim your UK pension whilst living on the island. Great wildlife but no dangerous creatures: If you ignore the cheek of the local Green Monkey population you can enjoy the fact that, despite being a tropical country, there are no poisonous snakes or spiders on the island. You can enjoy the hundreds of species of birds that visit as well as make the most of the fact that Barbados is a haven for both Hawksbill and Leatherback Turtles. The tourists: Or ‘grockles’ as they are called in the south west of the UK. At only 439 sq. km, the island is small and the tourist numbers big. Cruise ships stop daily and there are year-round holidaymakers enjoying the sun. It may not prevent many people from sharing the space but, for some, it can be frustrating. Parochial life: On such a small island and with such a proportionally large British expat community you can find a similarity with ‘village-life’. Everybody knows everybody and this can be both a good or bad thing depending on what you are seeking in your retirement. Cost of living: Barbados is not a cheap place to live. The essentials are around 30-40% higher than the UK though property prices and rentals are lower. A well connected country, Panama has international flights operating daily across Latin America, the US and Europe. It has a vibrant history and culture to match with a colonial heritage which is evident in the architecture, language and cuisine. Panama has a diverse ecology with lots of wildlife, mountains, waterways and glorious coastal settlements. It has a stable economy and, coupled with a good government, moderate crime rate and low cost of living the country can offer retirees a safe and secure home. Medical facilities: Panama is a renowned for its medical tourism as it offers the best services in Latin America. With top quality doctors from the UK and US the costs are 50% cheaper than in the USA. Healthcare insurance is very reasonable. Currency: The official currency of Panama is the Balboa which is equivalent to the US Dollar. However, the government hasn’t bothered printing their own currency in decades and the $ has become the de-facto monetary standard. Panamanians: The people of Panama have a strong and deserved reputation for their contented attitude which makes them very laid-back and happy individuals. They are easy to get to know, very willing to help expats to settle in and can offer a wealth of great information to help you settle into local life. Creaking infrastructure: The rapid growth of the country’s economy and popularity of its tourist industry has had an impact on the infrastructure. Development is in place but, as is the way in many Latin American countries, can take some time. As a result, there are issues with basic things like sewages systems not coping, telecommunications being poor outside of the city and poor service. Unfamiliar consumer goods: Whilst there is a lot of imported American products the vast majority of groceries are all of Central and Southern American provenance. Finding your way around a foreign supermarket or grocery store may not phase everybody but be prepared to try new things and forgo the Heinz and Tetley for a while. Greece is a stalwart of countries where Brits seek to retire to and continues to attract large numbers to join the expat communities across the Greek islands. The weather is mild, the cost of living good and the crime rates are low. Greece has a cultural appeal which is difficult to match anywhere else in the world and, with such amazing scenery, the only difficulty is in choosing where to settle. Affordable property: One of the benefits of the economic crisis in Greece has been the falling price of property. Prices are around 30-40% lower than they were almost a decade ago; however, the downside is that prices may fall further making the value of your home less than you paid for it. A word of caution here: prices in ‘tourist’ areas can attract huge premiums so be prepared to look around the surrounding area to get the best value. Cuisine: Anyone who has visited the country will know that Greek food in Greece is totally different to your typical Greek restaurant. Fresh local produce including fish caught daily from the Mediterranean, lamb, beef and pork as well as sun ripened olives and tomatoes make for an exquisite culinary experience. Eating out in Greece is a national pastime and, even despite lower disposable incomes, the Greeks will dine out whenever possible. Austerity: The impact of the financial crisis continues to affect public services and there has been a noticeable decline in standards. Whilst the crisis appears to have reached its apex, the austerity measures in place are likely to continue for the foreseeable future. Further declines in public spending could see a negative impact on all aspects of public infrastructure. Low morale: The people of Greece have suffered a lot over the last several years. The loss of personal wealth, high rates of unemployment and a new age of austerity have all contributed to the morale of the country being decidedly low. Don’t be mistaken, the people are friendly and fun-loving but they are dealing with serious changes to their incomes. A move in later life to Malaysia is a bold but exciting adventure that promises some amazing cultural experiences as diverse as the melting pot that the nation itself has become. From its energetic and bustling cities like Kuala Lumpur to the tropical rainforests, powerfully enigmatic coastlines and glorious beaches. The country is megadiverse in wildlife and offers nature loving retirees a unique opportunity to witness the beauty of planet Earth up close. Diverse nation: Malaysia is a mix of ethnicities, cultures and races all brought together in an exciting blend of peoples. The cuisines are varied throughout the country and with it the mixture of languages. One of the perks of this multinational diversity is the fact that English has become a standard second language for most. There is a distinct blend of Indian and Chinese within the mix but ultimately there is nowhere quite like Malaysia for variety. Cost of living: There is no doubt that your money goes further in Malaysia. The cost of living is on par with Thailand and, if you are careful, you can make your pension last twice as long. Affordable healthcare: The country has a good network of high quality medical services and at excellent rates. Good transport links: Most of the country is easily accessible by road and rail making exploring this beautiful nation very doable whether you are 25 or 65. Huge expat network: The rise of the country’s economic fortunes has drawn a huge number of Europeans and Americans to both the cities and rural communities. The extensive network makes settling in to the culture very easy as there are groups for every kind of activity. Crime rates: With such a fast turnover of migrants and tourists combined with a very high level of corruption and bribery at senior levels the crime rate in Malaysia is unfortunately very high and has been increasing over the last three years. Some areas are more notorious than others with tourist resorts and cities being the worst culprits. Unpredictable Weather: A good and bad thing, the climate varies considerably east to west across Malaysia from wet seasons to hot and dry summers, the weather and, most importantly, the seasons, should be factored in to your plans. People choose to retire overseas for lots of different reasons and the key to selecting the right country for you is to let both your head and your heart make the decision. Falling in love with a country whilst on holiday is one thing but you should do your homework to make sure that living there doesn’t end the same as those all too frequent disastrous holiday romances do. It’s important to make sure that your pension will allow you the same standard of living as you are expecting and that you can access medical treatment within your budget. Other considerations such as whether you need to be able to travel back to the UK frequently should also be factored in. All being said, we think that any one of these top ten countries will provide an ideal new home for retirees and an exciting new adventure in later life. What do you think is the best country for Retirees? Have you lived in any of the countries above? Let us know your thoughts, comments, and experiences below.